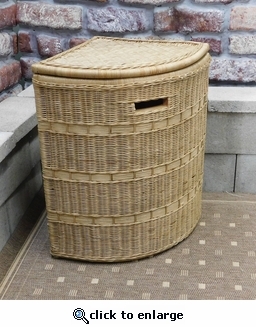 This very practically shaped hamper is great for saving space in your home, while still adding the elegance of wicker. Great for any bedroom or bathroom. Made of the best quality handwoven wicker over sturdy rattan frames. Comes in a Natural Finish.